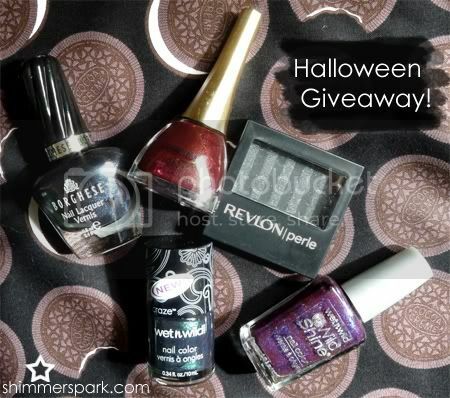 I got a few things together that I know most people would love for a quick Halloween Giveaway! Wet N Wild – Morbid, Borghese – Stellare Notte, Wet N Wild – Eggplant Frost, and Golden Rose – 82. Plus Black Galaxy, a black Revlon eyeshadow that’s really metallic and shimmery! I’ll pick the winner on Halloween! 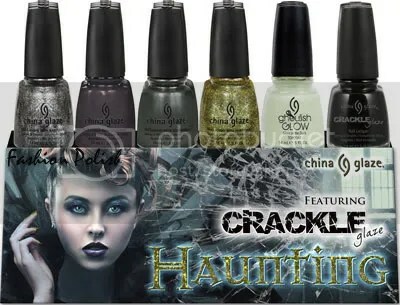 This entry was posted in general polish yumminess, giveaway and tagged giveaway, halloween on October 17, 2011 by hollyshimmerspark.